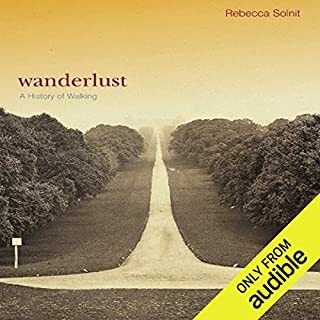 Drawing together many histories - of anatomical evolution and city design, of treadmills and labyrinths, of walking clubs and sexual mores - Rebecca Solnit creates a fascinating portrait of the range of possibilities presented by walking. Arguing that the history of walking includes walking for pleasure as well as for political, aesthetic, and social meaning, Solnit focuses on the walkers whose everyday and extreme acts have shaped our culture, from philosophers to poets to mountaineers. In their New York Times best-selling book The Genius of Dogs, husband-and-wife team Brian Hare and Vanessa Woods lay out landmark discoveries from the Duke Canine Cognition Center and other research facilities around the world to reveal how your dog thinks and how we humans can have even deeper relationships with our best four-legged friends. 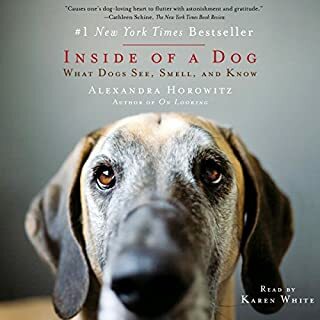 From the author of the number-one New York Times mega-best seller Inside of a Dog comes an equally smart, delightful, and startling exploration of how we perceive and discover our world. 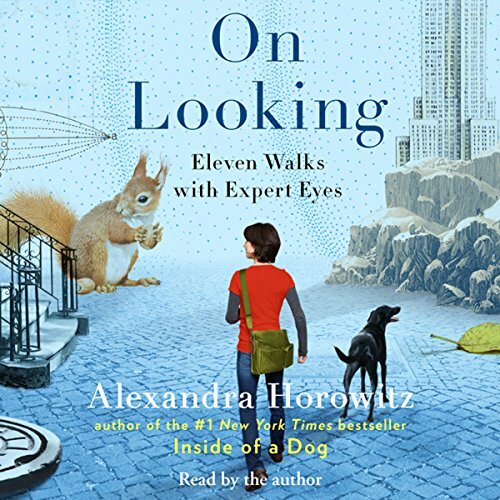 Alexandra Horowitz’s brilliant On Looking: Eleven Walks with Expert Eyes shows us how to see the spectacle of the ordinary - to practice, as Sir Arthur Conan Doyle put it, "the observation of trifles". On Looking is structured around a series of eleven walks the author takes, mostly in her Manhattan neighborhood, with experts on a diverse range of subjects, including an urban sociologist, the well-known artist Maira Kalman, a geologist, a physician, and a sound designer. She also walks with a child and a dog to see the world as they perceive it. What they see, how they see it, and why most of us do not see the same things reveal the startling power of human attention and the cognitive aspects of what it means to be an expert observer. 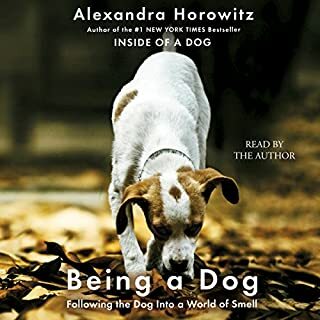 As the million-plus readers of Inside of a Dog have discovered, Alexandra Horowitz is charmingly adept at explaining the mysteries of human perception. Trained as a cognitive scientist, she discovers a feast of fascinating detail, all explained with her generous humor and self-deprecating tone. On Looking presents the same engaging combination, this time in service to understanding how human beings encounter their daily worlds and one another. Page by page, Horowitz shows how much more there is to see - if only we would really look. On Looking is nutrition for the considered life, serving as a provocative response to our relentlessly virtual consciousness. So turn off the phone and other electronic devices and be in the real world - where strangers communicate by geometry as they walk toward one another, where sounds reveal shadows, where posture can display humility, and the underside of a leaf unveils a Lilliputian universe - where, indeed, there are worlds within worlds within worlds. Alexandra Horowitz’s On Looking confirms her place as one of today’s most illuminating observers of our infinitely complex world. ©2013 Alexandra Horowitz (P)2013 Simon & Schuster, Inc.
Alexadra Horowitz is a brilliant scholar who works on interesting stuff, knows it, and wants to do something few scholars do: share it with the rest of us. Like Chet Raymo's "The Path: A One-Mile Walk Through the Universe" or David Haskell's "The Forest Unseen," she asks us to pay close attention to that small part of the world closest at hand, and thus most likely to be overlooked. Ms. Horowitz does so by bringing experts of various sorts along on walks around her block, and weaves together their insights on what lies beyond the eyeball with her own expertise into what's going on behind it. For all those reasons, I was looking forward to "On Looking." Unfortunately, I wasn't able to finish listening to it. As a writer, Ms. Horowitz tries too hard, like an earnest undergraduate who's fallen in love with language for the first time, discovered the thesaurus, and can't wait to use all the new words she's found there. Her love seems to spill over into her narration. She seems to be more focused on making sure that each of those lovely words is enunciated as clearly as possible with little awareness of the rhythm and flow of complete sentences, much less the broader arcs of paragraphs. 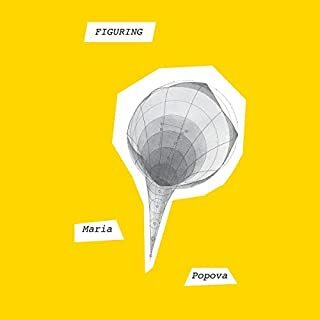 Other reviewers seem to like this, and I really wish I could've gotten beyond it, but to my ear the overall result sounds overly pretentious and entirely too precious. I hope Ms. Horowitz will keep sharing her world with us, mature into as good of a writer as she is a scholar, and leave the reading to a more skilled narrator who can bring her words to life. As a trauma nurse out in Afghanistan, I experienced the death of a friend firsthand. He had passed away on route to our location and so all we could do was prepare his body for his journey home. After this moment, in time, I came to reject all my adolescent views on reality in search of objective truths. Those ideas shared between both science and religion, in order to see how others view the world. I typed in "looking" on the Audible search engine and found this book. How lucky was I. There is something about the "ding" moments in life where we put the puzzle pieces together. Only our puzzle is filled with thousands upon thousands of separate bits of information and often looking in the strangest places will reveal this puzzle we call reality. This book shows how others see the world and helps us get into the mind of interesting individuals. For myself, a much deeper meaning emerges from her words. There are so many fights between the sciences and religion. While I subscribe more to the former, this book shows how ignorant we are to the majority of the events around us. I am now forced to bite my tongue, listen, and understand the other to find common ground while noticing the differences between myself and others. Ultimately, her perception further teaches us to notice the intricacies in life. The dull commute to work is now a dazzling spectacle, where one can even find beauty in a rock. 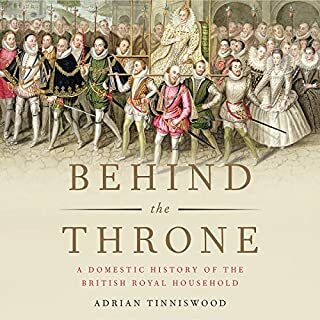 The content of this book did not move me at all.....far too much about the lovely infant child which the author justifiably adores. However, I was pulled in by the wonderful narration, which was so pleasant, I continued listening to the end. I really enjoyed this book because I am fascinated with the subject of how viewpoint shapes the world for the viewer. This book seems tailor made for me. The writing is engaging, and the narration is refreshingly excellent for books narrated by the author. I would give Horowitz five stars for narration, but sadly, Audible does not let me separate performance and production. My only quibble is with the editor. Some sentences feature a long pause for no particular reason. Other gaps are rushed. Horowitz's rhythm is quite good, but I suspect the editor grew complacent and forgot that some pauses are not intentional (pausing for a drink, the pause before a punch in, etc) and left them in without really listening. Great if you need to fall asleep immediately. No real meaning . Overall gibberish. I couldn’t get through the first chapters. Interesting! Well read! A great enjoyment and addition to my own walks and long drives! Although a book being read by the author is generally ill advised in my opinion, any weakness here is more than overcome by a unique and educational series of 11 perspectives on the world around us. I walk away (pun intended) with not only a new ability to perceive the mundane details around me, but a renewed interest in investigating those details further in an effort to grow that insight. Well worth your time in my opinion! You may want to listen to this book a few times to really "get it". There is no big moment in the narration, just continual examples of the details that we miss because we only see what we expect to see. The narrator is enjoyable. this book truly is a fantastic idea, and the array of perspectives are contagious. these are topics I adore, and while Alexandra is certainly very observant and intelligent, but I wish she would have exchanged some of her vocabulary for more creative license. I hope she continues to write more and develop a voice that reads and sounds as good as the landscapes she puts herself into.. 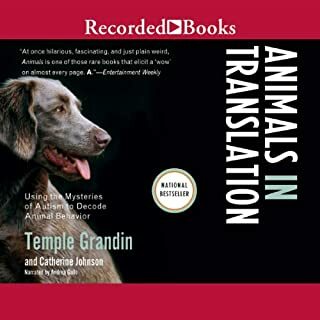 I was really keen to listen to this as I had read the author's book about understanding dogs. I had also seen this book referred to as one of the top ten books that should be read. The first three accounts of walks were interesting and then it became too samey. The author's voice is monotonous too and that doesn't help. I tried to return the book but the system wouldn't let me and said I had to ring audible customer service. As I didn't want to spend ages on the phone possibly justifying why I didn't like it , I decided to plod through to the end. And that's all it is now, a plod. I'm sorry, I tried.